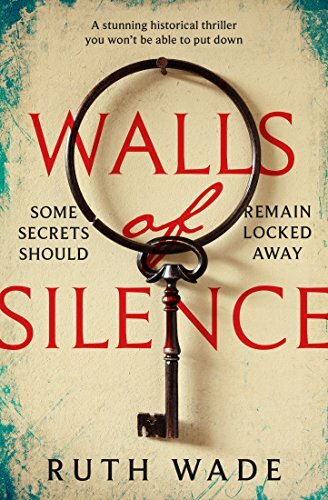 Firstly I wish to thank Sarah Hardy of Bloodhound Books for inviting me on the Blog Blitz for WALLS OF SILENCE by Ruth Wade. I must say that I was rather intrigued when I read briefly what this book was about, as I do have to admit to having a little bit of a morbid fascination with lunatic asylums of years gone by. What I have been left with, after reading this book, is the equivalent of that feeling when you go over that hump back bridge in a car. A sheer wave of all the wows that are grouped together in one total pleasurable moment. This book just took me off my feet. Set in the 1920’s the story is centred round Edith, not a person that suffers fools, has little patience for anyone and comes across as darn right unlikable. Now this is a long book and at this point I was thinking, Do I really want to read so many pages about such an arrogant character? and YES, YES, YES, I did. A chain of events occur that are so unthinkable to deal for Edith that she literally closes her mind down and the only foreseeable future for her is the asylum. Now I was intrigued and so was a man who at first saw Edith as a quick way to make a name for himself in the new approaches and techniques that had developed. Dr. Stephen Maynard got far more than he bargained for as he edged into her mind and tried to coax her back to reality. This is no way a quick paced read, there are no racy bits but the impact of it all is so very powerful. It feels very much like two steps forward and one step back with Edith to the point of me asking myself what had happened to her that was so terrible? Surely it couldn’t be so horrific? Ruth Wade’s characters have left a very impressionable impact on me, where I am still getting a wave unbelievable emotions. And Edith? She is now character that has woven a permanent place in my mind.